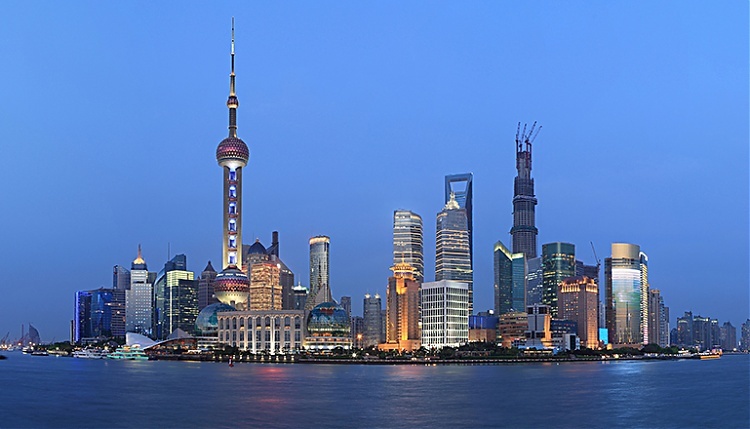 A landmark new venue for the 2014 LONGINES GLOBAL CHAMPIONS TOUR is the dazzling city of Shanghai, China. China's biggest city by population and the world's biggest city proper by population, Shanghai will host the fourth leg of the Tour from the 6-8th June in the Chinese Year of the Horse. Synonymous with glamour and new beginnings, Shanghai is renowned for its record-breaking skyscrapers which have sprung up where just twenty years ago there was only farmland. Whether you fancy a night in one of the world’s highest hotels, visiting Jesuit cathedrals, Jewish synagogues or Buddhist temples; or a stroll through streamlined art-deco apartment blocks or the home-grown Lòngtáng Laneway housing, Shanghai has something for everyone. Though it’s most alive at the end of the day when the local population pour out of offices, food is the centre of social life and the culinary scene is wide-ranging and engaging. A representative of modern China, this city exudes a fashion style that’s unlike anywhere else - a clever blend of East and West. Boutiques, markets and new, young designers flock to the city to ply their trade. Many people visit Shanghai purely for the shopping experience. But if you would rather enjoy the renowned culture, art galleries offer contemporary local art and acrobatic shows are always close at hand. A massage is always popular with visitors if you are looking to relax. The addition of Shanghai to the 2014 calendar sees the reach of the Longines Global Champions Tour extend ever further. As a potential future Olympic host and a centre of world-class sport, Shanghai fits beautifully into the myriad of enigmatic cities which make up the the Longines Global Champions Tour and this city is sure to be a truly special back drop to the Grand Prix of Shanghai.